In the early 1800s before anaesthesia and infection control, most surgery was limited to amputation of limbs injured by sabres and musket-balls. (Far more soldiers died from disease than from battle trauma). 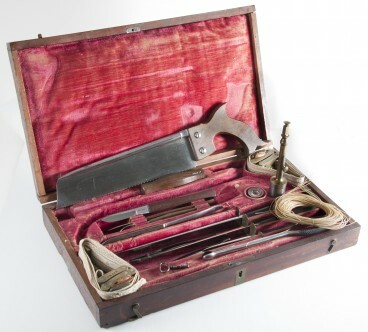 The urgency and harsh conditions of battle on land or at sea taught military and naval surgeons to work quickly to reduce blood loss, pain, and infection. 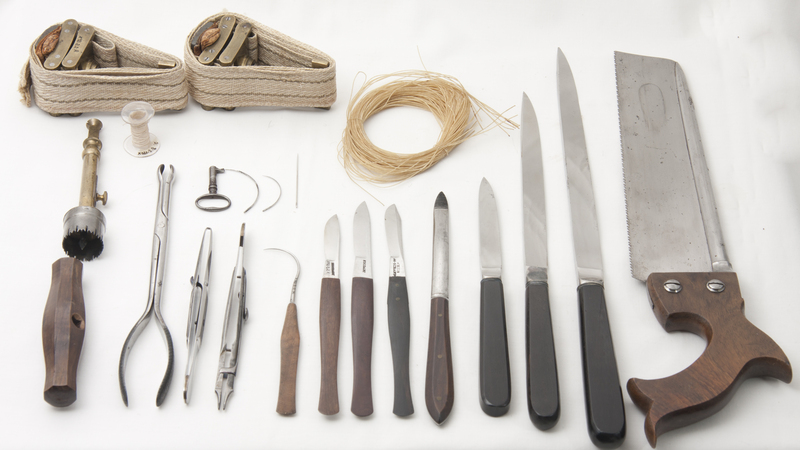 Most of the contents of this field surgical case were used for amputation (bone saw, tourniquets, knives and scalpels, artery forceps, and tenaculum to draw out blood vessels for tying after an amputation). The surgeon treated head fractures with a trephine to drill into the scull and used a musket ball forceps to remove bullets close to the skin surface. 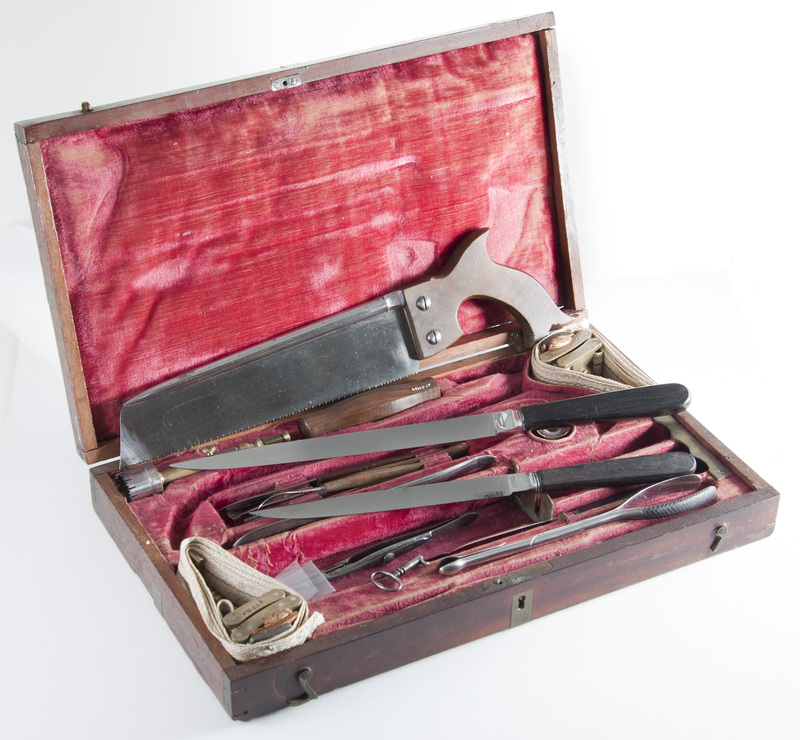 Dr. Henry Grasett (1774-1843), British surgeon-in-chief during the War of 1812, was likely the first owner of this surgical kit. Born and trained in medicine in Ireland, Dr. Grasett served with the British military in the West Indies and Europe before coming to Canada. Three generations of physicians in the Grasett family owned this artefact.